Vegans and vegetarians who expect a child should ensure that their diet is rich in protein. It is an essential ingredient for a child to grow and grow properly. What can you replace meat and fish? The most protein in vegetable products can be found in legumes (such as lentils or beans), tofu, quinoa and nuts. It is important to combine the plant products properly to use the amino acid replenishment effect to increase the biological value of the protein contained in them. An example of good sets that provide the body with amino acids in quantities necessary for the construction of body proteins, are: porridge with mushrooms, cabbage with groats, pasta with mushrooms, vegetable stew with bread, beans with rice, potatoes with wheat and potato flour (dumplings). B vitamins are very important during pregnancy because they allow for proper growth of the child and also prevent problems with the spine in the baby. Vegans may have trouble getting a proper dose of vitamin B12. Why? The best sources of vitamin B12 are milk, dairy products, meat, fish and eggs, that is products forbidden in the vegan diet. Some products for vegans are enriched with this vitamin, but it is best to talk with a doctor who will recommend appropriate supplements. If you are pregnant, make sure that you supply the body with enough iron. Your body must produce more blood during this period to provide nutrients and oxygen to the growing baby. Meat and fish are the best sources of iron, so you must find equally valuable substitutes. Legumes, nuts, dried fruit (especially apricots), quinoa, bulgur and some green leafy vegetables (kale, watercress) are the best vegan products rich in iron. Iron is best absorbed in the presence of vitamin C. For this reason, you should eat the products mentioned above together with peppers, tomatoes, green vegetables and sip everything with a glass of orange juice. Your child’s skeletal system is shaped during pregnancy, so it is so important that you provide him with calcium and vitamin D, the basic building blocks of healthy bones. A lot of calcium contains milk and dairy products, which is why vegans have to look for their own sources of this mineral. Good sources of vitamin D for vegans are mushrooms and vegetable fats (olive oil). You can also take advantage of products enriched with calcium, such as soy, rice or oat drinks. You will also find calcium in some nuts and seeds, so go for the brazil nuts, almonds, hazelnuts, sesame seeds. Add dried figs and kale to the daily menu. Vitamin D deficiency is a very common problem because there are only a few natural sources of this vitamin. They are greasy fish, meat and eggs, so products are not suitable for vegans. If you want to make up shortages, go outside. Solar radiation provides the body with vitamin D, so try each day, from April to October, spend 20 minutes in the sun – provided that you do not use creams with protective filters. 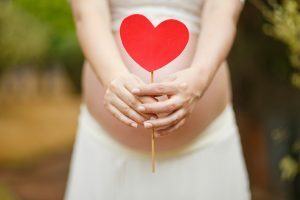 All pregnant women (regardless of whether they are vegans or not), doctors recommend taking supplements with vitamin D.
A vegan diet can provide all the necessary nutrients, vitamins and minerals to the baby and the future mother. If you are a vegan, consult your doctor who will advise you on how your diet should look like and what supplements you should take during your pregnancy.